"At the odds we will have to side with India because, man for man, they have the edge. Only when they have a clear favourite status will we look for ways to get them beat"
It shouldn't have come as any sort of surprise that England lost to India in game one. The formbook had been pretty explicit. It was No 5 in the world against No 1, who had lost one in 14. England had lost four times as many. The manner of the defeat was predictable too. Reassuring even. All is well with the world of cricket punting if England are getting tied in knots by spin. Kuldeep Yadav did the damage with five wickets. Hitherto, Kuldeep's introduction England were blazing away happily. Jos Buttler's extraordinary sequence of scores and top-bat efforts continued. As much as they can reinvent players like him by offering him free rein, solving the old conundrum about playing tweak will take much, much longer. There could be burgeoning worries about Joe Root's role in the limited-overs set up. He batted at No 6 at Old Trafford and got a duck. There is no way he should be batting there in this format. That's an all-muscle role. He has to bat at No 3 or not at all. England's problem may be that if Kuldeep doesn't get you, Yuz Chahal might. The leggie razed the home batting and Chahal, slightly less effective than his spin twin but still mighty dangerous, could have his own turn (pardon the pun). Alternatively you could argue that India won't be able to rely on spin all the time and before they switched tactics their pacers looked like fodder. Bhuv Kumar's profligate spell meant India badly missed the excellent Jasprit Bumrah and he is out for this one, too. Kumar's uncharacteristic implosion may have been down to purely being without his new-ball buddy. They could turn to Sidd Kaul for more control if need be. With the bat India get stronger and stronger. So strong that Virat Kohli could well be reduced to a side show. The emergence of KL Rahul, who struck a masterful ton, gives them a terrifyingly good front four. There have been only four T20 internationals played at Sophia Gardens. The first-innings scores read: 181-182-99-126. The most recent two were won by the side batting first, the other two the chaser. Domestically, runscoring has been a little tricky and Glamorgan's success in the Blast has been built on knowing how to pace an innings there. The first dig average is around the 150 mark. The market is struggling to split the pair following India's dominance in that eight-wicket win in Manchester. It is unusual for the market to react so quickly but prices of [1.92] about the two are fair. We thought India were superior before the first contest and we've seen nothing to change our mind. Indeed, a tacky surface in Cardiff could make Kuldeep and Chahal even more dangerous. At the odds we will have to side with India because, man for man, they have the edge. Only when they have a clear favourite status will we look for ways to get them beat. 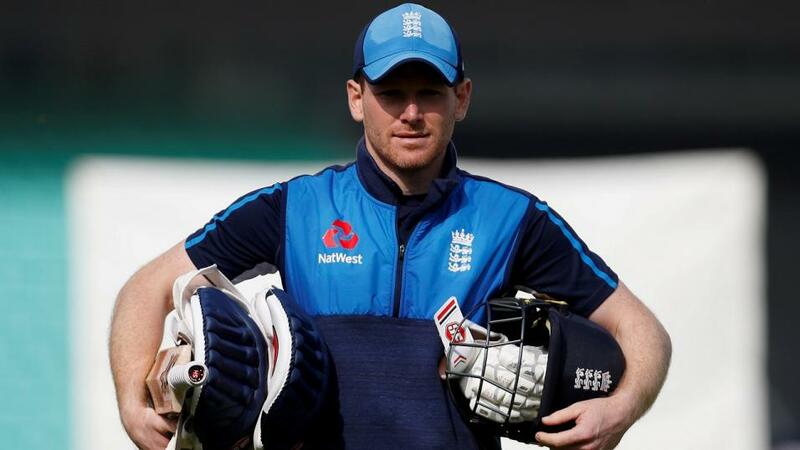 Buttler has top-scored eight times in a row as opener. We don't have the numbers to hand but this is surely a record? Although strike rates in the 140s and 150s suggest a man who is throwing caution to the wind, it is anything but. It is controlled, consistent destruction the like of which we have not seen. Sooner or later you think he'll hit one straight up in the air but he never does. No doubt he will be well backed at 12/5 with Betfair Sportsbook. We have an inkling for Eoin Morgan at 5/1. Morgan should be suited to this type of wicket and he top scored two games ago with a 74 against Australia. We have been talking up Rahul for the last two matches on this tour in our Hawk Eye analysis but swerved his price because, simply, Kohli gave us the greater edge. Rahul copped twice. There is nothing more frustrating. He was 4/1 to take honours in Manchester. He is now 16/5. Kohli, Rohit Sharma and Shikhar Dhawan are all 3/1.